A lot of people making traditional quilts pick a theme fabric (or main fabric), then match the colors in the theme fabric when they add other supporting fabrics. This is the easiest method of selecting fabrics that go together because the manufacturer already matched up the colors for you. For beginners, this is the best method. But let me suggest a few other methods. Many years ago, Jinny Beyer suggested that quilters stop playing the match game, and instead pick colors that are a shade lighter or a shade darker than the one that exactly matches the theme fabric. She also trained her devotees to add a very dark, a very light, and a bright color to give the quilt more life and interest. 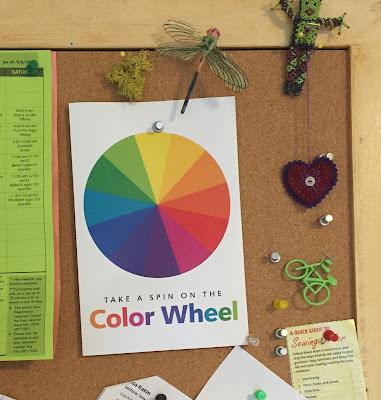 She developed a color wheel of fabrics that RJR manufactured and was one of the first to promise quilters that we would have all of those colors all of the time, even though the prints might change. Her fabrics are tone-on-tone, which means they read as a single color. 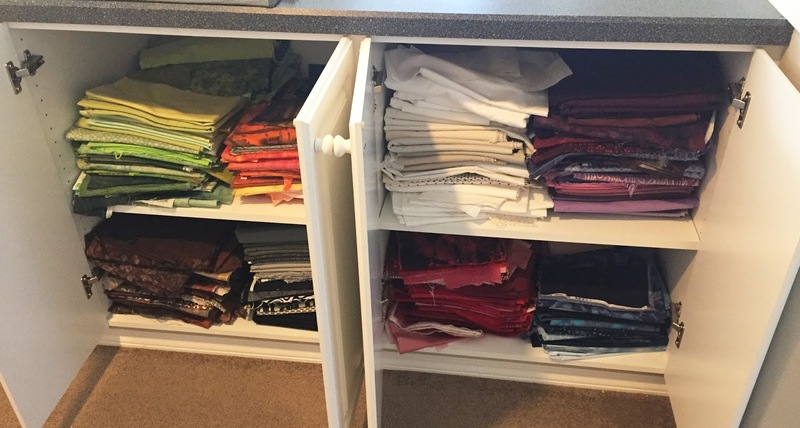 Many other manufacturers followed in her footsteps and now quilters have virtually all colors available all the time - most notable are KONA solids by Robert Kaufman. 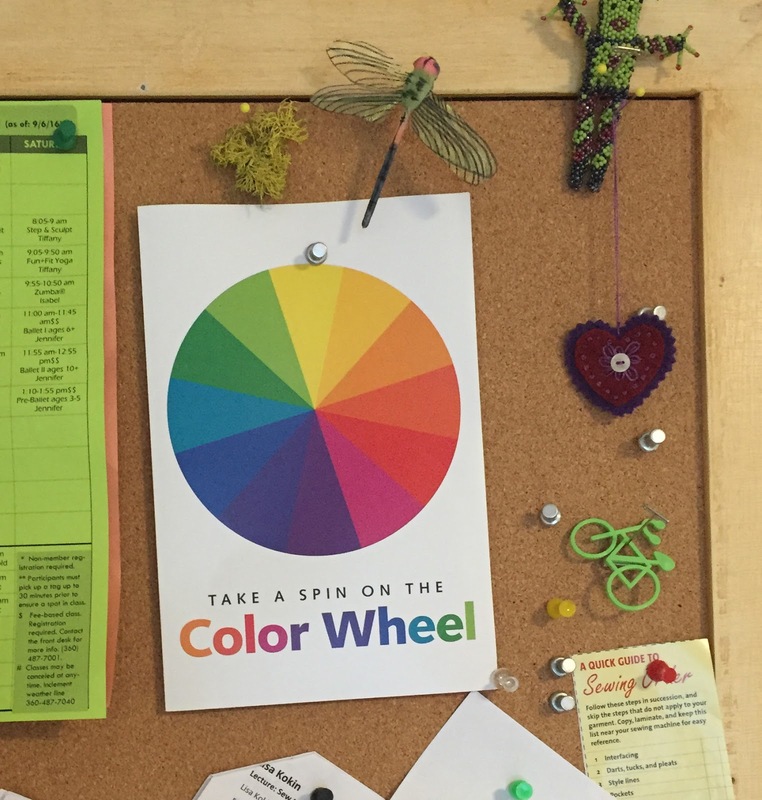 I keep a color card on the wall in my studio,which allows me to order any color I want on the internet, or to choose a color and get to the fabric store. Modern quilters expound a "go with your gut" approach, and encourage us to use all kinds of colors and materials, not just 100% cotton. But they generally stick with lots of white or gray with bright solid colors. Current popular fabrics are cotton, linen, silk, and shot cottons. In the Victorian days, silk and velvet were popular. For my art quilts, I use the anything goes doctrine. I do pick a color theme that supports the overall feeling of the quilt. Then I like to pull fabrics of all types to be the base design. Adding unexpected materials like tulle, organza, recycled wool, and gobs of man-made and organic materials give my pieces my own personal spin. This list includes raw "wool" from llamas, goats, sheep, alpacas and bison. It also includes found feathers from birds and chickens, vintage trims, yarn, threads, and lichen. Piling this all of my table before I start really helps. Then I can cull as I go and see if there is anything else that I need. 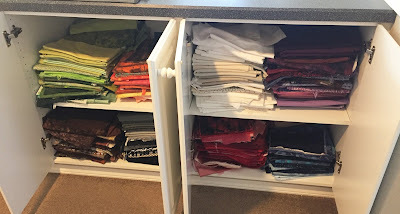 This is a picture of how I store my cotton fabrics by color, so that it's easy to pull fabrics. Whatever type of quilter you are, I hope you can pick from some of the techniques I've learned over the years and give your pieces your own personal spin too! I like that lime green bicycle! It is interesting how many manufacturers also have "all" the colors available. Jean's book is a great one!